Sony moved Roland Emmerich’s Singularity from May 17th, 2013, to Nov 1, 2013. 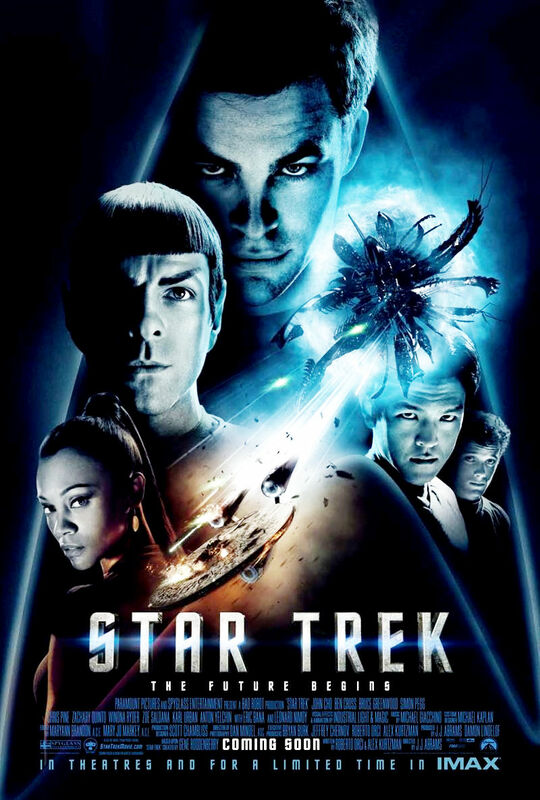 So now Paramount is grabbing that primo pre-Memorial Weekend date of May 17, 2013 for its much anticipated writer/director J.J. Abrams’ Star Trek sequel (which is really No. 12 among the Captain Kirk/Mr Spock star fleet movies). No title yet. But this one is being co-written by Abrams with Lost‘s Damon Lindelof, plus Alex Kurtzman & Roberto Orci. But JJ is going to be making the movie in 3D. The first of Abram’s rebooted franchise opened May 8, 2009 for a $79M weekend and ultimate did $258M in North America and $130M international at the box office. The pic is being produced by all those writers and Bryan Burk, who is JJ’s Bad Robot production partner. It is anticipated that David Ellison’s Skydance will be co-financing the film with Paramount. All key cast members will be returning, like Chris Pine and Zach Quinto and Zoe Saldana. aramount took a real risk rebooting what many thoiught was a tired franchise played out but the studio wound up with another potent franchise. That’s because Abrams’ reboot widened well beyond Star Trek‘s rabid but older fanbase and attracted a new and younger audience. (Paramount marketed the movie as “not your father’s Star Trek”.) And the critical reviews were 96% positive. The goal of the new pic was to finally attract more filmgoers overseas since the franchise had never done $100M international before. As for the sequel, Abrams had to finish Super 8 so there was no way he could make the June 29, 2012 release date that Paramount initially had carved out for the film. (The studio gave that slot to its other sequel G.I. Joe: Retaliation.) Abrams had been hunkering down with writers Orci, Kurtzman, and Lindelof to work on the Star Trek script. The studio exercised its option on the cast and they would be ready when Abrams was.